Piping is a proud tradition dating back to the early Celtic civilization. The pipes were used for identifying allied forces and inspiring moral. It is believed that Swiss mercenaries back as early as the 15th century had pipes and songs that would identify whether they were moving forward, retreating, or holding ground and one piper could do what a half dozen drummers once needed to. The British Army took the practice of allowing 5 pipers per regiment to inspire confidence in the troops as they marched into battle as well as a drum regiment for tactical instruction. This formed the basic outline of the modern pipe band. These pipe bands performed in action until World War I when the War Office of Britain declared they be stopped due to giving away tactical positions. When the Great War ended, the pipers who were no longer in service found themselves in great demand from local police and fire brigands. These became high standard bands who represented their city or town. It was only a matter of time until these former military pipers began looking for a little friendly competition. The Scottish Band Association formed in 1930 and has held the World Pipe Band Championship Annually since then. These competitions focus on a MSR and a Melody tune. The MSR is a focus on the marching ability of the band while performing a pre selected song. The Medley Piece has become the real competition though as these bands must compose their own work and perform it. This is incredibly difficult since the Pipe has a narrow range of pitches it can play. The Non Competitive Piping groups began arising in the 1990's. The Competitions were over 60 years old and many of the former competitors had lost interest in the sport but loved the instrument. The MBPB actually formed in this exact way. 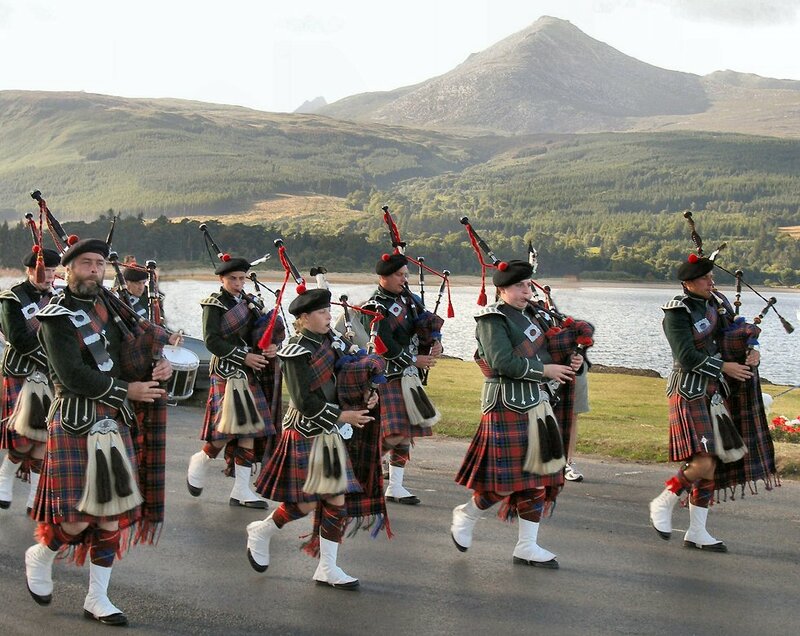 We formed to perform in honor of fallen soldiers, special events, and to showcase the Celtic heritage. We proudly play only the classic songs that our culture is based on and love our heritage. Non-Competitive piping is the museum of Celtic heritage. There is no art hanging on the walls, so there is only pipes and drums to carry on the legacy.